The truth about lost AliExpress packages being sold in Islamabad. Why are AliExpress packages ending up at a bachat bazaar stall? 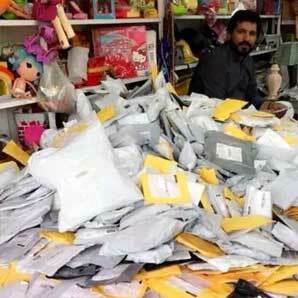 A picture appeared on the internet recently showing misplaced AliExpress packages being sold at Sunday bazar in Islamabad. The shop keeper was selling the packages Rs200 only and said that “whatever you find in the packages is yours”. Items price varies according to their size. Many curious and concerned residents visited the stall and saw that the parcels were in fact mailed to other countries. 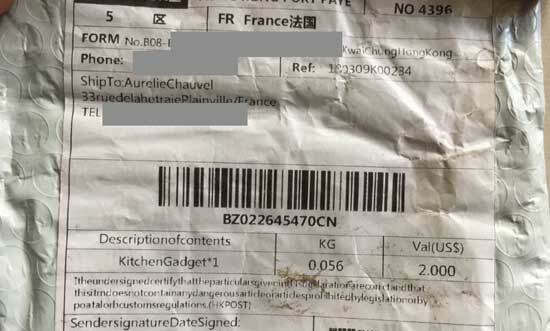 Most of the packages have addresses from different countries like Poland, Hong Kong, Azerbaijan, France, Finland etc. Saleem was contacted by an assistant superintendent of Pakistan Post who claimed that the matter had been investigated and the parcels did not belong to Pakistan Post, since they handle Pakistani addresses only. “Seems like these have been purchased from out of the country as refused articles and then imported as second hand material,” he said.